NEW YORK, NY – The multi-disciplinary architecture firm Francis Cauffman is saddened to announce that firm founder David Hughes Cauffman, AIA, passed away on September 27, 2016. Cauffman, along with fellow University of Pennsylvania alumni James Francis and George Wilkinson, founded Francis, Cauffman & Wilkinson in 1954. Born in 1916, Cauffman was 99 years old, and was the firm’s oldest and last living founder. After Cauffman joined forces with Francis and Wilkinson, the three ambitious architects built a business known for its knowledge of the field and its strong bonds with clients. 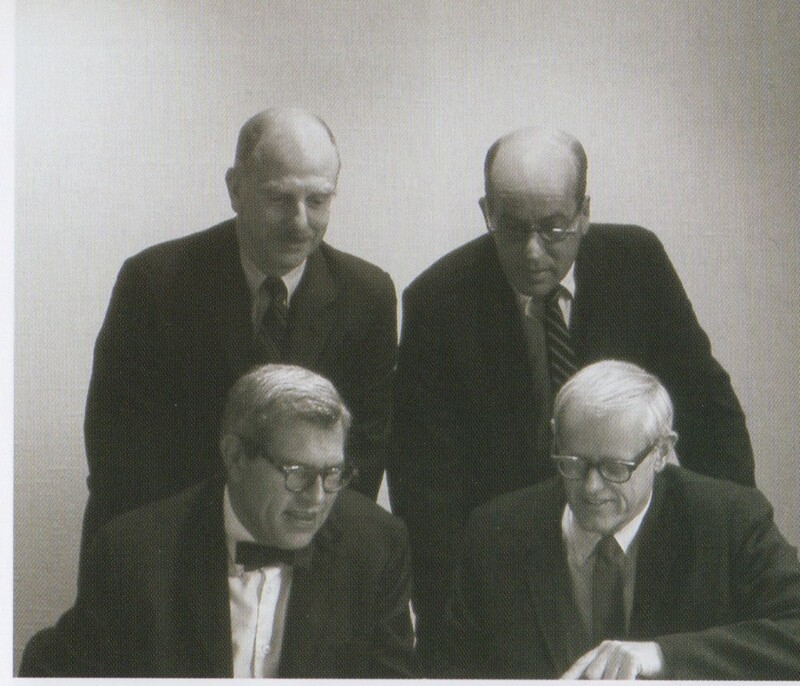 In 1955, they merged with an established Philadelphia practice run by another Penn alumnus, Hayward Pepper, becoming Francis Cauffman Wilkinson & Pepper. The firm went through several name changes over the years as new partners arrived, all the while building a reputation based on the founding partners’ conviction that architecture could be a catalyst for well-being. Cauffman, a native of Philadelphia, received his B.Arch. from Penn in 1940. He founded Francis Cauffman after several years in the field, first as draftsman at Harbeson, Hough, Livingston & Larson (1947-49), then as project architect at Willing, Sims & Talbutt (1951-52), and later chief designer at George M. Ewing (1952-54). Hughes served as Lieutenant Commander in the U.S. Navy from 1941-45. 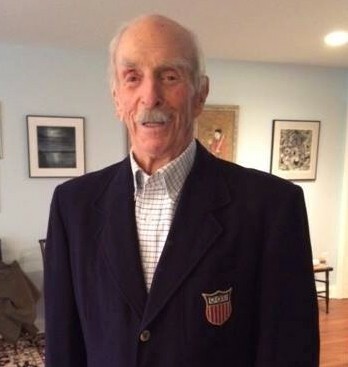 He also participated on the U.S. field hockey team at the 1948 Summer Olympics in London. 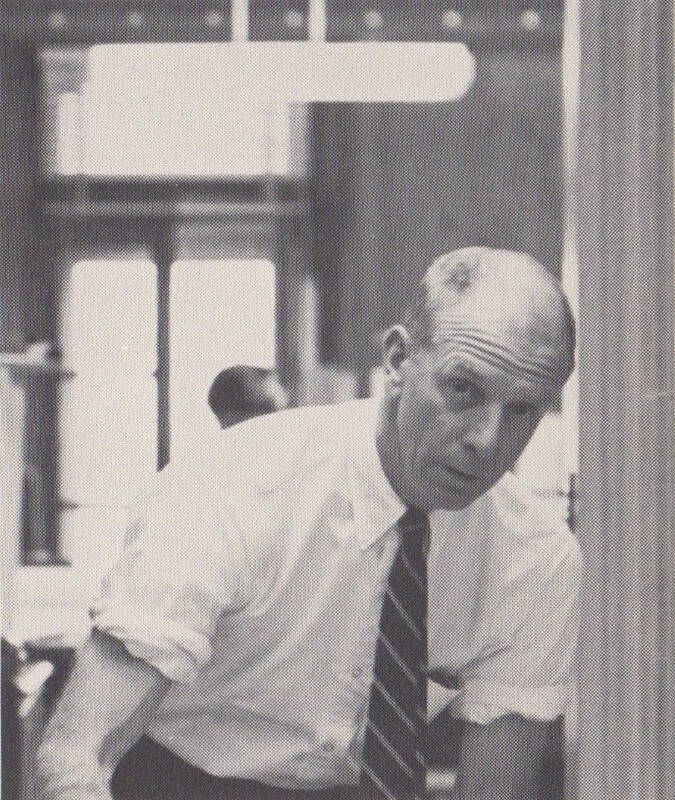 He served on the Board of Directors of the Philadelphia AIA and was president of the Carpenters’ Company of Philadelphia. 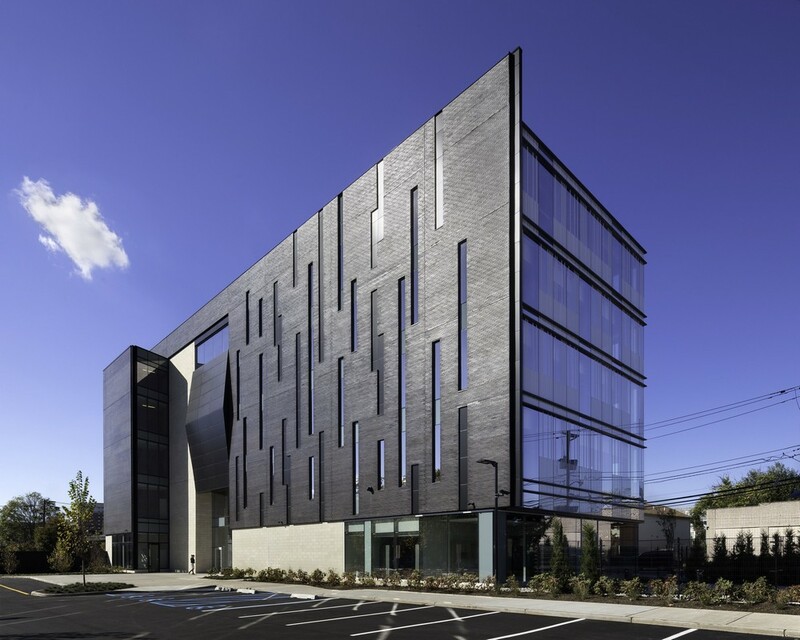 Francis Cauffman, an award-winning architecture firm with offices in New York and Philadelphia, has supported its clients since 1954 with innovative architecture, planning, and interior design services. The practice is recognized for being on the leading edge of new investigations in healthcare, academic research and teaching, corporate research, and corporate and advanced technology. Francis Cauffman has a staff of 110 architects, planners, and interior designers and is active in 20 states and three countries. Francis Cauffman’s clients include Biotrial, GlaxoSmithKline, Fox Rothschild LP, New York University, North Shore Long Island Jewish Health System, the Robert Wood Johnson Health System, Saint Barnabas Medical Center, the University of Pennsylvania, and W.L. Gore & Associates, Inc.
GSK has been transforming its workspace throughout the world, and evolving and enhancing the collaborative model with each project. The Navy Yard is the first office built and designed from the ground up to meet GSK’s needs for a flexible, interactive, healthy, and productive workspace. Prior to the move, Francis Cauffman created three pilot projects where GSK employees tested furniture and technology solutions. The employee feedback on furniture and ergonomic features was incorporated into the final design. September 29, 2016 in Architects.